9 hotels with a sea view are waiting for you in Cherbourg. 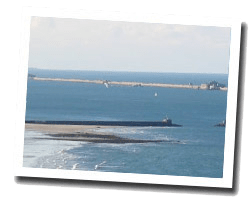 Cherbourg is located at the top of the Cotentin, between the Hague cape and Saire Valley, 120 kilometers from the English coast. This historical town has always been dedicated to the sea, with a passenger port and a marina. The Gulf Stream warms the climate and allows the cultivation of exotic plants. The Cité de la Mer presents giant aquariums and a collection of underwater vehicles. At the seaside you can find a pleasant sandy beach, Collignon-Plage. 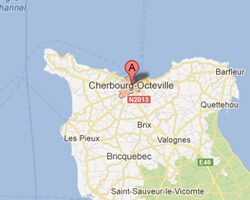 In Cherbourg enjoy the pleasure of a sea view hotel.